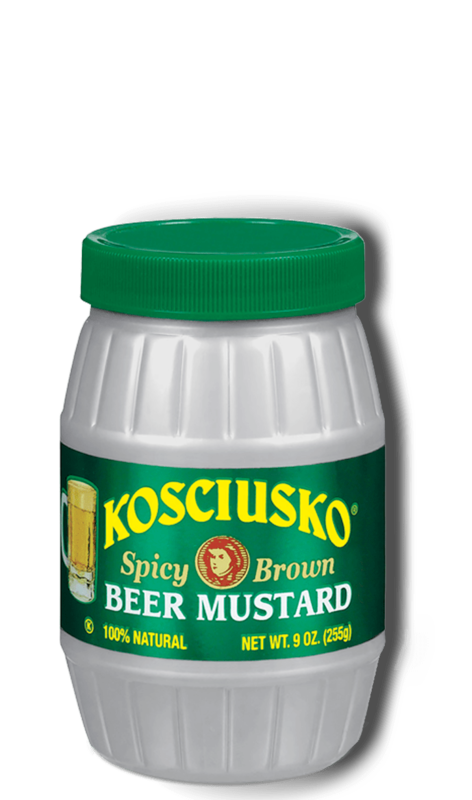 Kosciusko Spicy Brown Beer Mustard by Plochman's elevates this basic macaroni salad recipe to tasty heights! Cook macaroni according to package directions. Drain and cool under cold water. In a large mixing bowl, mix macaroni with remaining ingredients. Try It Another Way Swap out tuna for diced ham or chicken.